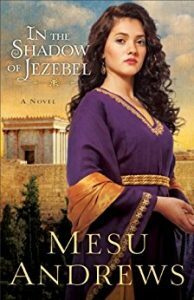 An evil queen and her royal guards will stop at nothing to find—and kill—the rightful heir to the throne of Judah. When their pursuit leads them to Mira’s village, only her father’s bond servant, Ari, a man shrouded in secrets, can keep Mira safe. 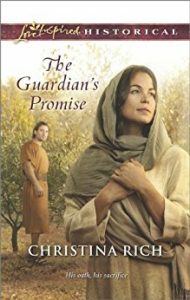 Abandoning his life as a temple guard and becoming an indentured servant was the only way Ari could protect young Joash, the true King of Judah, from Queen Athaliah. But his sacred duty prevents him from confessing his feelings for his master’s daughter. With the future of their nation on the line, Ari and Mira will risk everything to save their people. Despite her protests, Princess Gisela, headstrong daughter of the Holy Roman Emperor Charlemagne, must enter into a diplomatic marriage. Yet en route to her wedding, her ship is attacked and she’s gravely injured. Rescued by a renowned healer, King John of Lydia, Gisela recuperates at his Mediterranean castle. 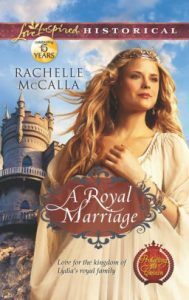 The handsome, widowed ruler soon has her reevaluating her beliefs on love and marriage…but only if King John could be her groom. Their love is forbidden, and duty requires him to deliver her to her betrothed. Unless they can find a way to join their hearts—and kingdoms—with love, faith and honor.